We needed a re-boot this week. 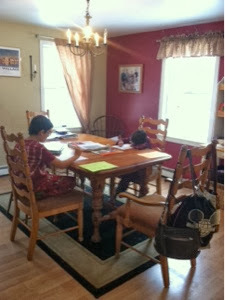 So, the dining room table was cleaned off and the little boys and I sat there to work on Bible lessons together. At least for our family, there is much good to be had, more progress forward, and a tad more diligence in our work when we sit at the dining room table. We only have three ‘home’ school days during our six-week ski lesson season, so diligence and efficiency are highly needed. Another thing that I’ve noticed over the years: when God’s Word is the foundation of a day, efficiency and diligence easily follow. Both days that we started with 30-minutes or more of Bible Study (still using Bible Study Guide for All Ages) we were able to easily stay focused and complete more our our daily tasks than usual. I share this as a reminder to myself mostly. I can be easily swayed to change the focus of our day on the pursuit of academics (math! spelling! read!) instead. One of the things that I wanted my students to do (besides read the chapter!) was to watch a dissection. 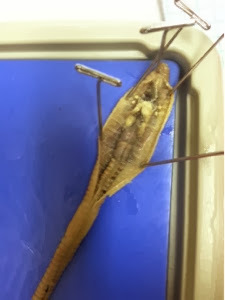 I really enjoyed the earthworm dissection demonstration by Biologybyme and will encourage my students to watch all of his dissections for specimens we’ll be using. This was week 3 of ski lessons. 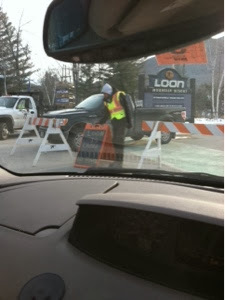 When we were about 5 miles from the exit we received a call about the lessons – they were cancelled. Apparently there was no power, which is the only reason this particular resort ever closes. I assumed it had something to do with the extreme cold, but apparently power lines were knocked down after a vehicle collision. I was not sad about this coincidence (closed resort/ extreme cold) at all. Don’t get me wrong – I enjoy skiing, but not in negative degree wind chill temperatures. 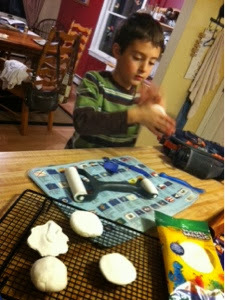 Luke was working on a report about Michelangelo this week for his Classical Conversations Essentials project. We had to put in a lot more work on this on Monday that I had really wanted, but (again) with a short school week, it had to be done. I will tell you that I’m so proud of my guy. He sat at the computer and worked his fingers to create a draft – no tears! And I’ve never seen anyone so happy. He really learned the value of a good notes, a good outline and a little more perseverance. This weekend is Pinewood Derby and Levi has made a fantastic themed car. He is way more into the design of the car than speed. The theme is “Fast Food” and he made a burger-and-fry basket. We used Crayola Model Magic to shape a slider and fries. Ben’s favorite subject right now is Logic. He’s taking intermediate logic right now, and I’ve been able to help (only a little) and reboot a bit of my brain from my college years. I forgot to add that Luke is still cranking it with long division. He totally gets it now, and I’m just thrilled. We are in a sweet spot for math with him. Luke and I also had to dig through closets to come up with his Michelangelo costume for his presentation next week. He has to read his report in such a way that people will have to guess who he is. Luke has always been the child who never outgrew dressing up in costumes, so he is really looking forward to this. I mentioned last week that my husband and I were having some difficult conversations about some issues going on in our life. I buckled down last week and got my nose back into The Word. I so know that God has been with me us on this rough journey and that he has been showing us his blessings and favor. We’ve been able to get to a point to finalize some dealings with business associates and move on in life. This past few months have taught me to lean in to the Word more when I am feeling stressed. I’m grateful to have learned this and am re-aligning myself with my Savior. (shhh)…we ate pizza twice this week (including a use of our Pizza Hut reading program certificates)…and the weekend isn’t even here yet. They were not disappointed.